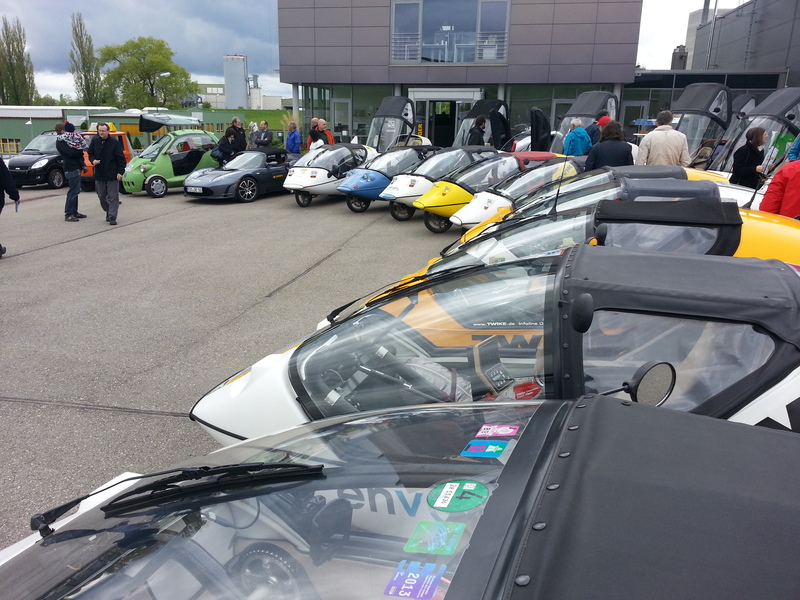 once a year the TWIKE drivers’ association twikeklub organizes its general assembly and invites all interested to a full day centered around sustainable mobility and obviously the TWIKE itself. whilst the activities are different every year, the assembly itself follows a structure mandated by swiss law for clubs and associations which charge their members for membership. 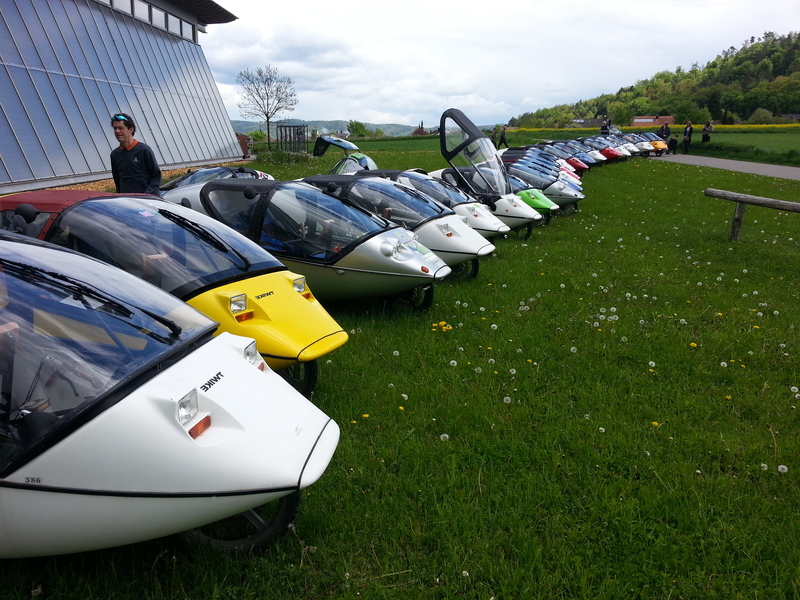 since there are more and more TWIKE pilots from germany nowadays, the club decided to conduct the 16th general assembly in rottenburg, southern germany. 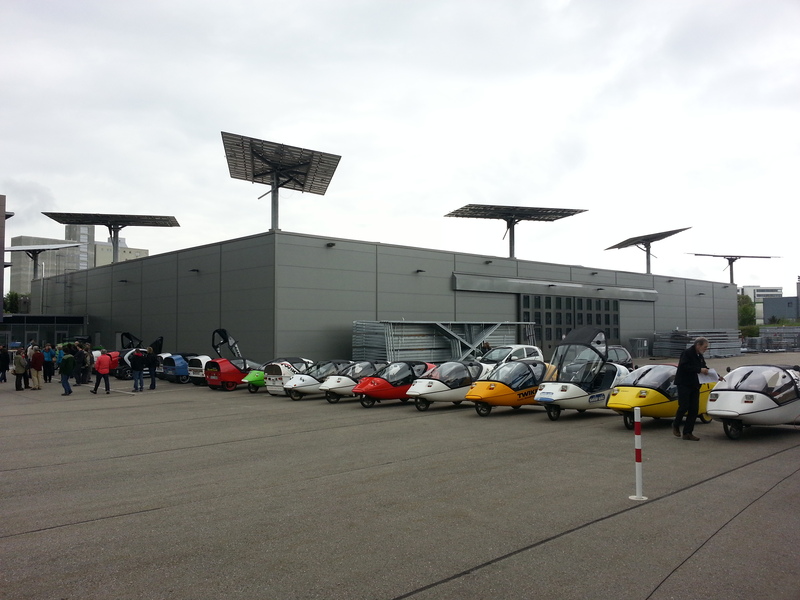 pilots from switzerland were invited to drive in a convoy starting at möckli elektrofahrzeuge with prearranged charging stations along the way. JC and myself, however, since we both have more time on our hands these days, decided to not join the others and drive on our own along a line (as usual 🙂 ). below our map we used this time. we are expecting to meet about 30 other TWIKEs at the assembly. 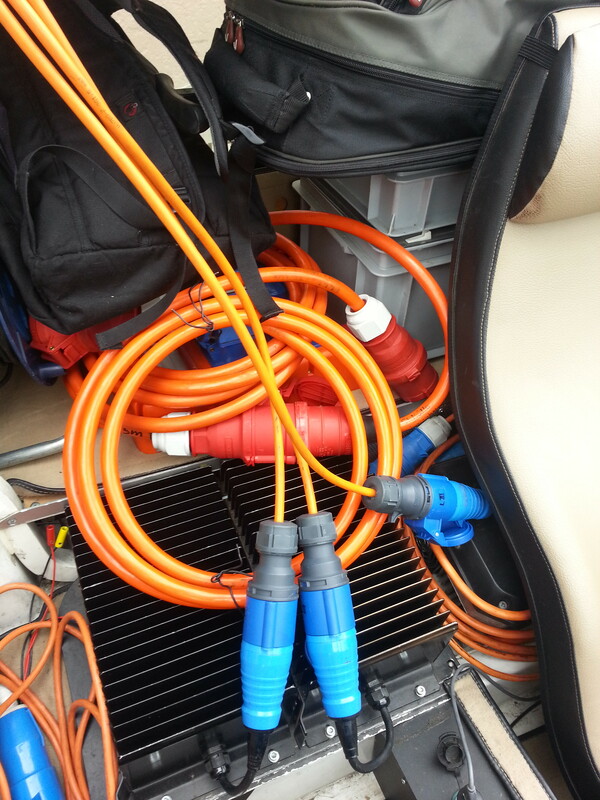 most of these TWIKEs will want to charge at some point in time during the assembly – this is why i am taking a high-power distribution point with me, off which, in an ideal constellation, about 9 non-modified TWIKEs can charge at full rate at the same time. 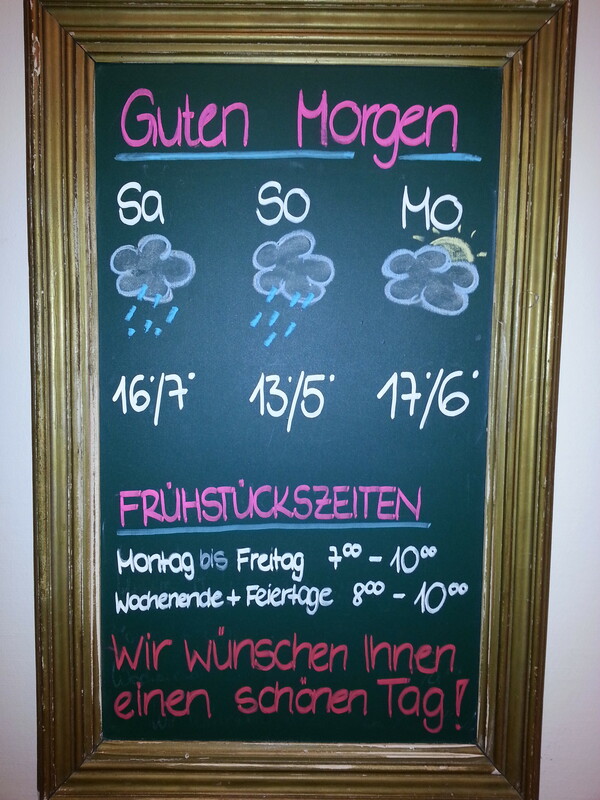 weather forcast for friday, saturday and sunday are not very good. friday, jc arrives around 0945 and we first eat some breakfast with my family. we leave about 1020 and are greeted with rain and wind. 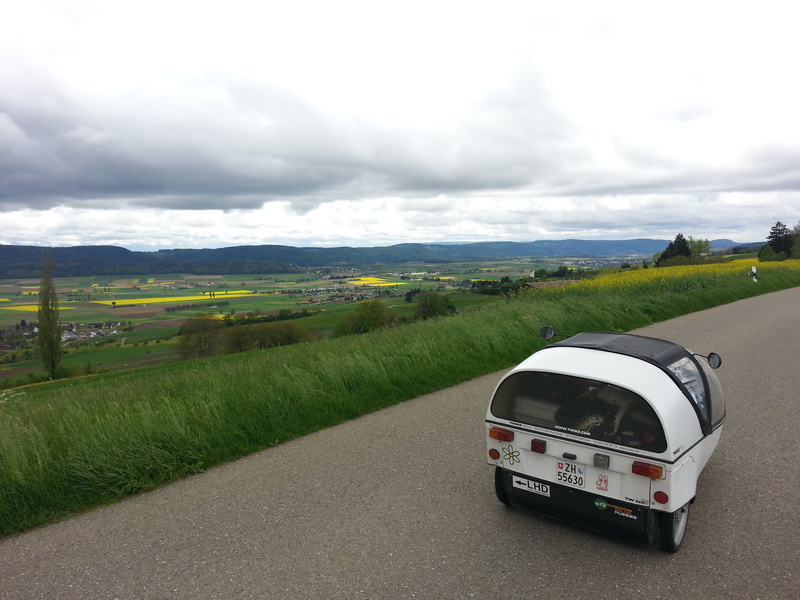 TWIKEing when it rains is dry, but not as much fun as it is when the sun shines and the cover is off. would look even better in sunlight! thanks to our pre-planned map, we stick to single lane roads. 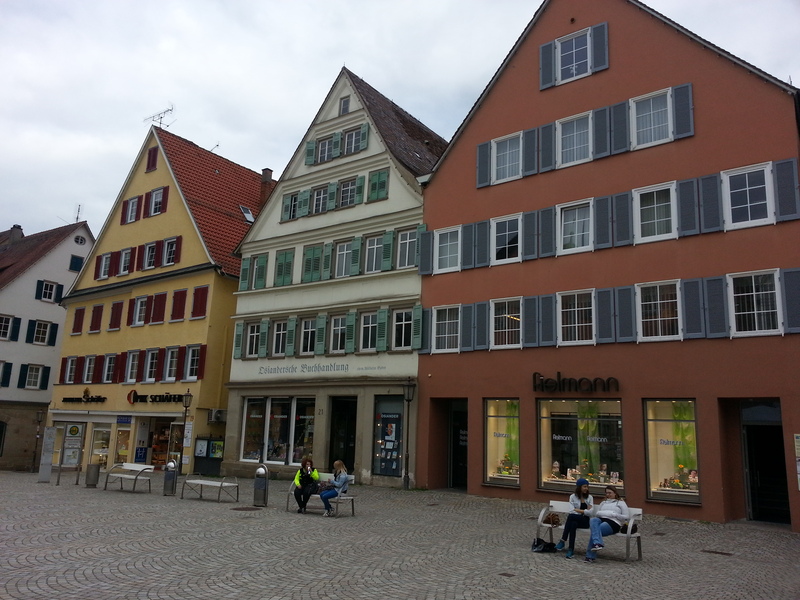 for anyone who has not yet been to the black forest: definitely go! this is – yet again – a very, very nice place on this planet. 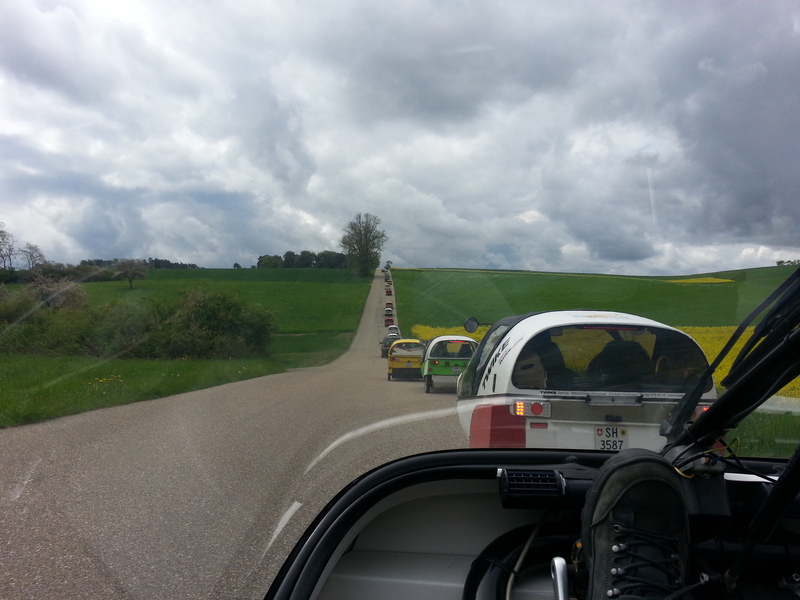 not a flat stretch of road in sight, we wind up and down hills from one small village and farm to the next. > we love this. Black forrest > up on a hill, yet again! what costs us much energy, however, besides our continuous ascents and descents is the fact that we are driving on wet roads (~+4Wh/km), need to keep our headlights on (~+3Wh/km) and additional weight from the high-power mobile charging station (~+1Wh/km). 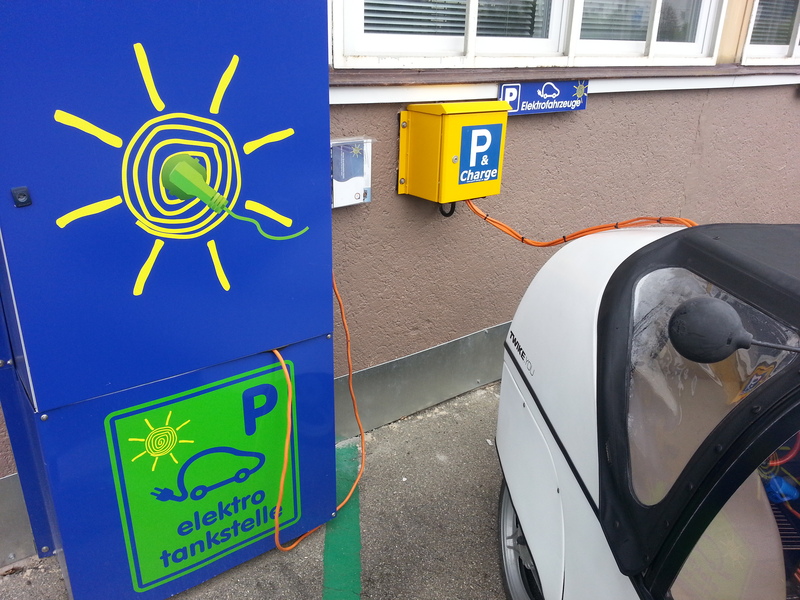 i factored this in during a last planning session on friday morning and we arrived at the charging station in wurmlingen with only 5% left in our batteries. no problems finding this charging station! 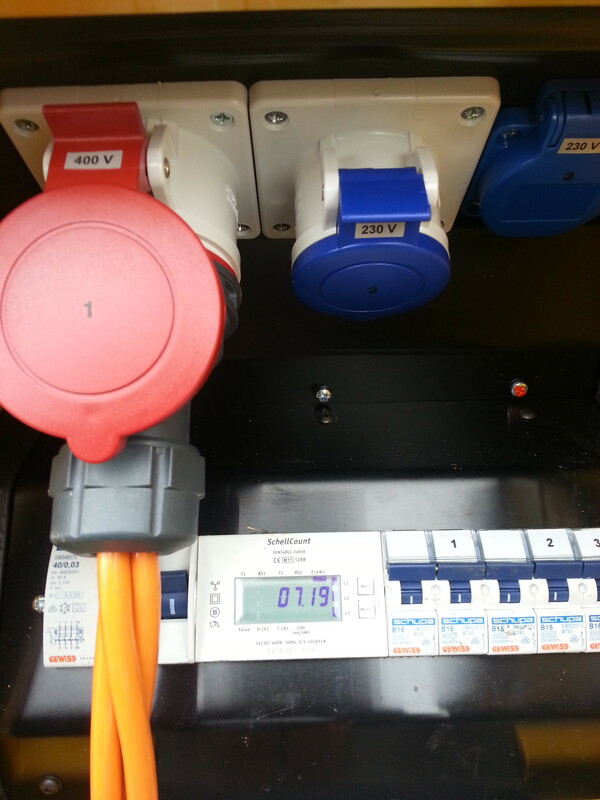 7.1kW flowing into the TWIKE – we like tri phase charging stations! we try to find somewhere to drink/eat in wurmlingen but despite having 5 restaurants, none seem to be bothered to open for midday today. hungry, after one hour of walking, jc and i return to the TWIKE to find the charge is 85% done and wait for it to finish and drive off within 5 minutes of it finishing. 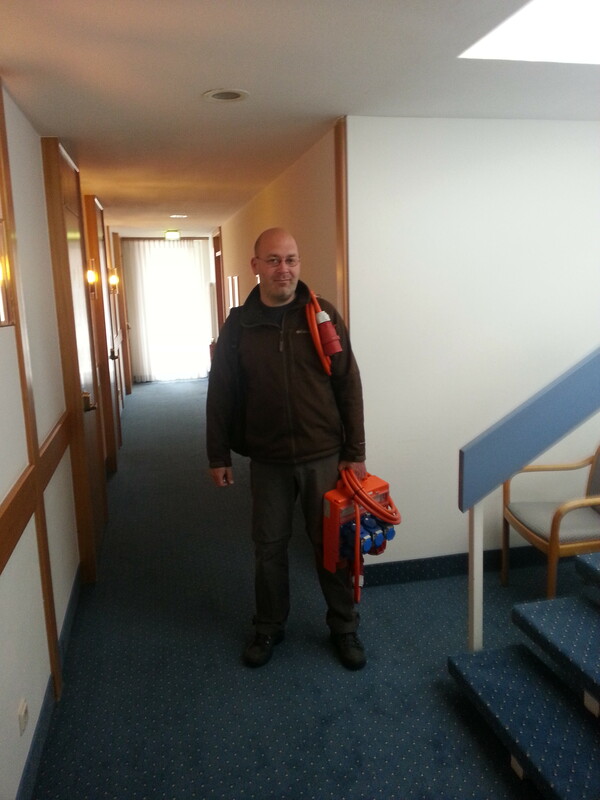 after another two hours we arrive in rottenburg. a very old and quaint city. even more so since the rain has stopped and temperatures are back to bearable. 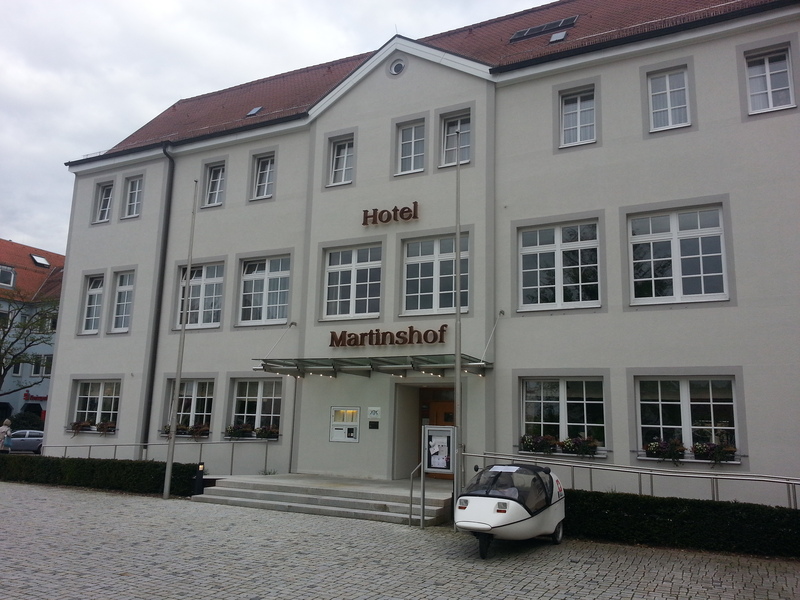 we check in at our hotel, plug-in our TWIKE and head out to the historic city centre of rottenburg. after exploring the old part of the city, we had gotten hungry and had some very tasty swabian food (try anything with spätzle!). ready for the next day we retired to our rooms quite soon. 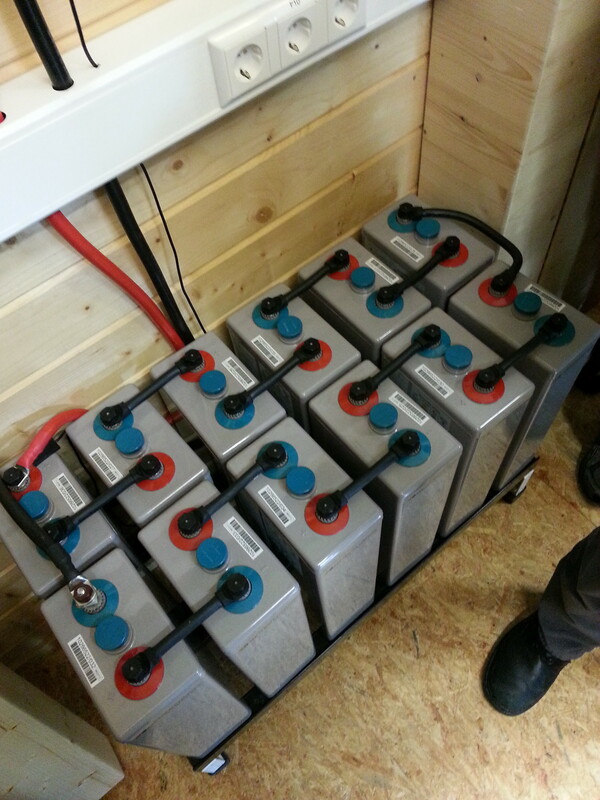 next day i got the charging equipment out and we headed out to deger energie. 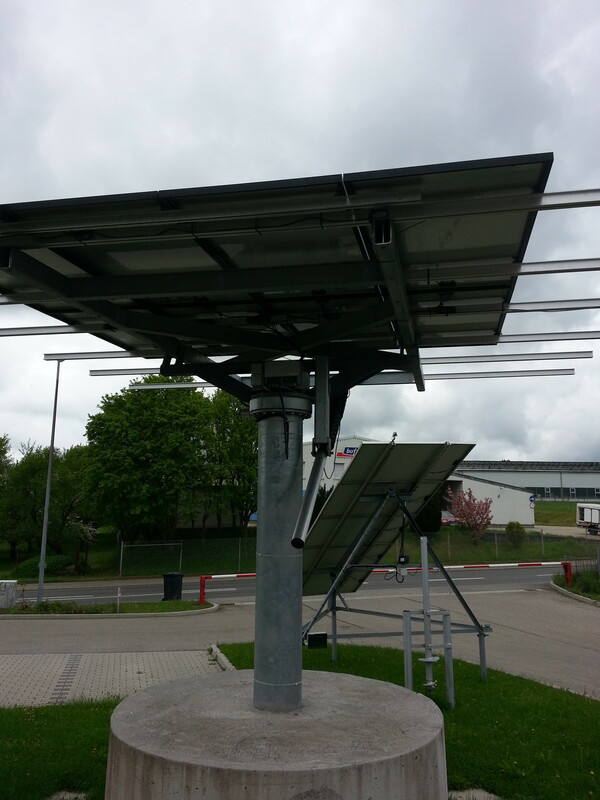 deger energie is a world leader in solar tracker technology. 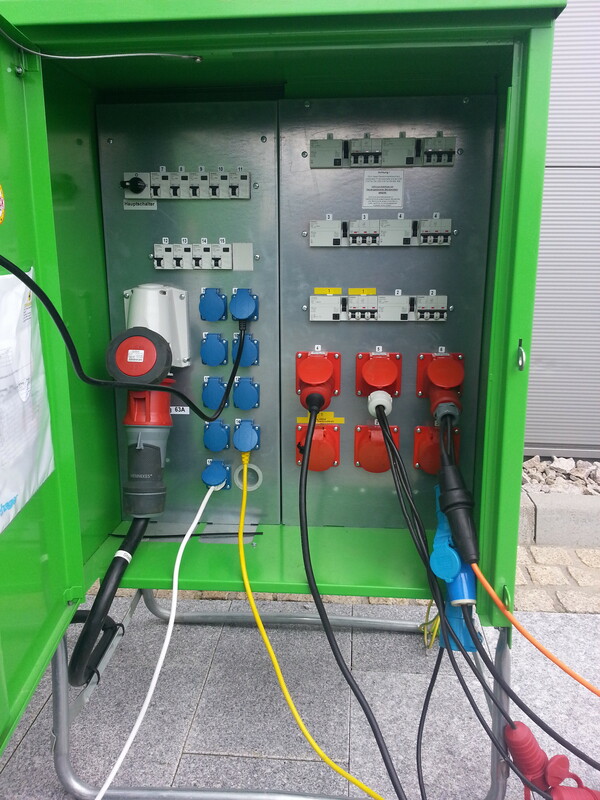 ready to charge multiple electric cars at the same time! 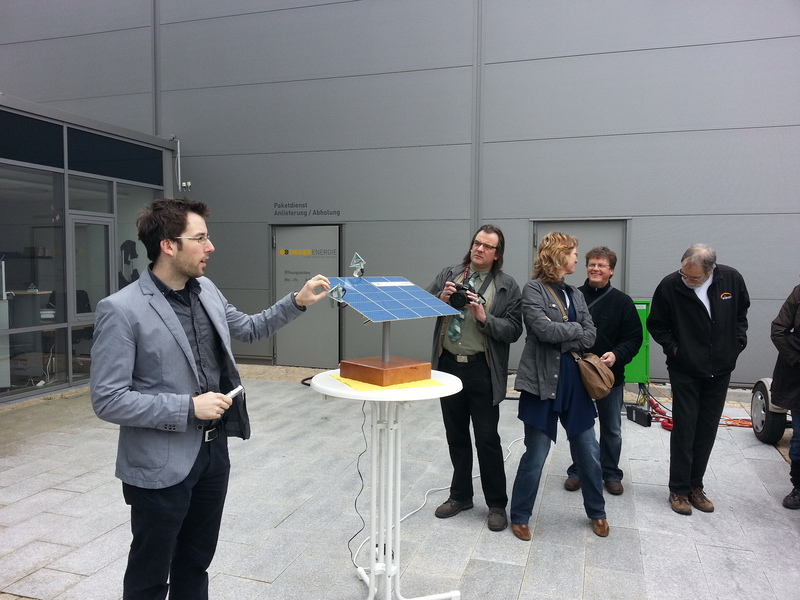 it’s very interesting to see that this technology maximises solar efficiency especially in overcast situations such as the day we were visiting. every tracker was pointing towards a different direction but even with a sky filled with clouds was able to generate 2kW each. the smallest tracker – for “home” use. 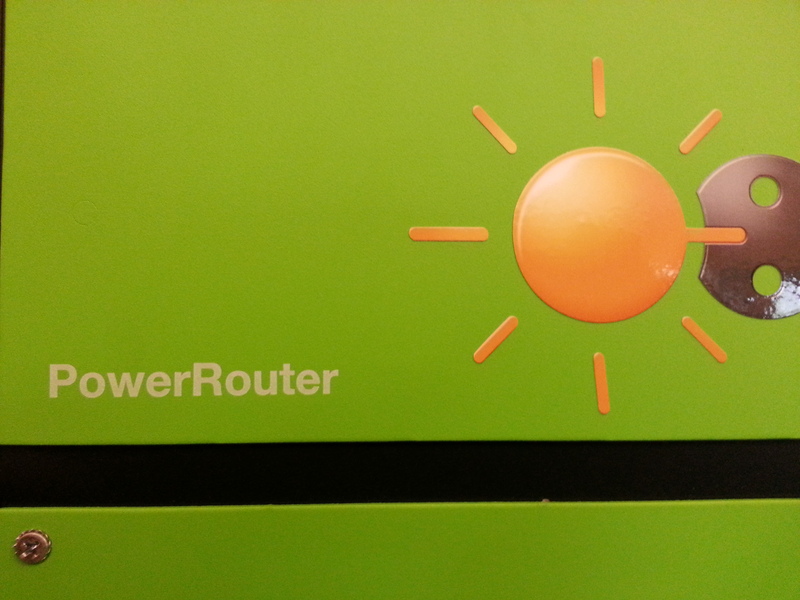 deger is now starting to enter the market with semi-home use solutions with batteries and power routers. the idea is to maximize the amount of solar power being retained and being able to buffer surplus energy instead of sending it back to the grid. 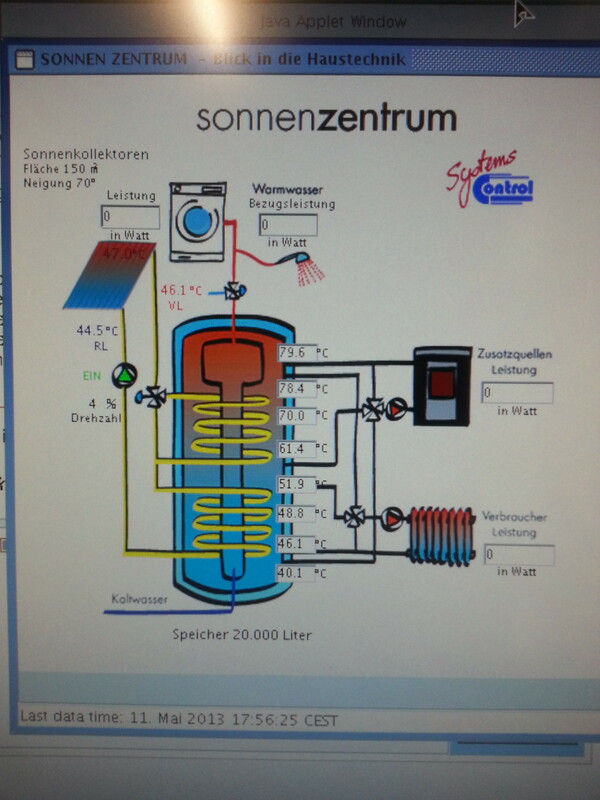 as a last resort, deger says, they even can attach an electric heater for heating warm water if one wishes to never send any energy to the grid in case the battery is full, all energy consumed in one’s household is currently being generated by the sun and there is still a surplus available! i estimate that even with the grey sky we had that morning that deger provided all the energy we consumed charging the cars by solar power only. now it’s time for some line-up photos! 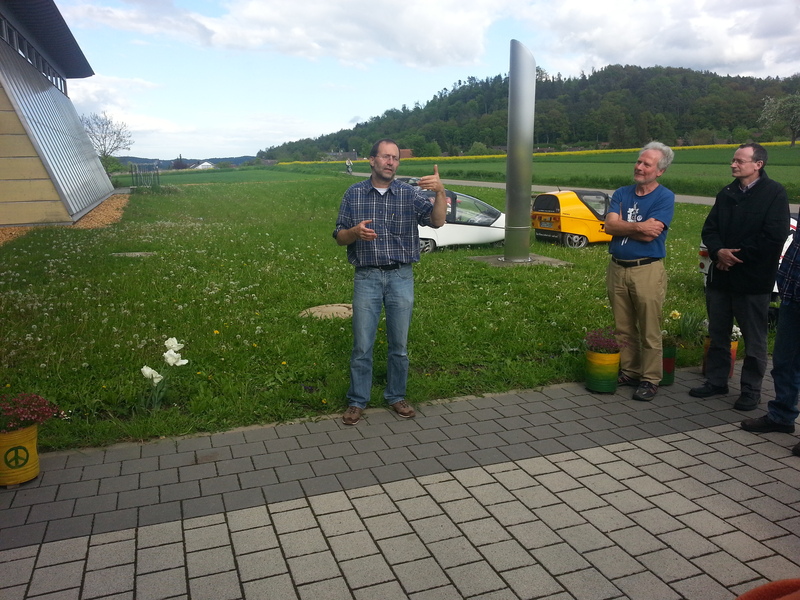 after this very interesting visit, we head towards the sonnenzentrum, just outside rottenburg. as we arrive we park outside the sonnenzentrum > a very nice photo-opp, yet again! 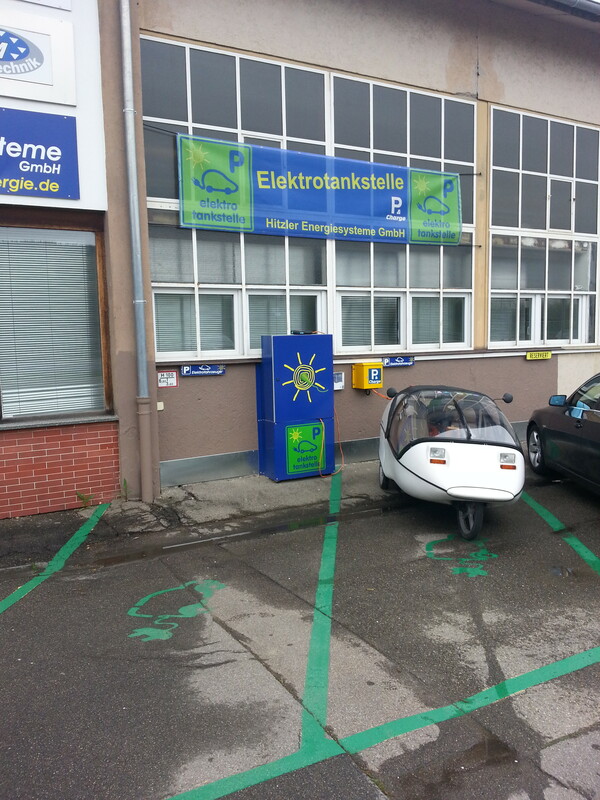 other electric cars are welcome, too! after lunch, we start the official part of this day – the general assembly. we approve budgets, review membership numbers and events during the last 12 months. being the vice president of this association, this was my part. below you will find the presentation i held, albeit without commentary. 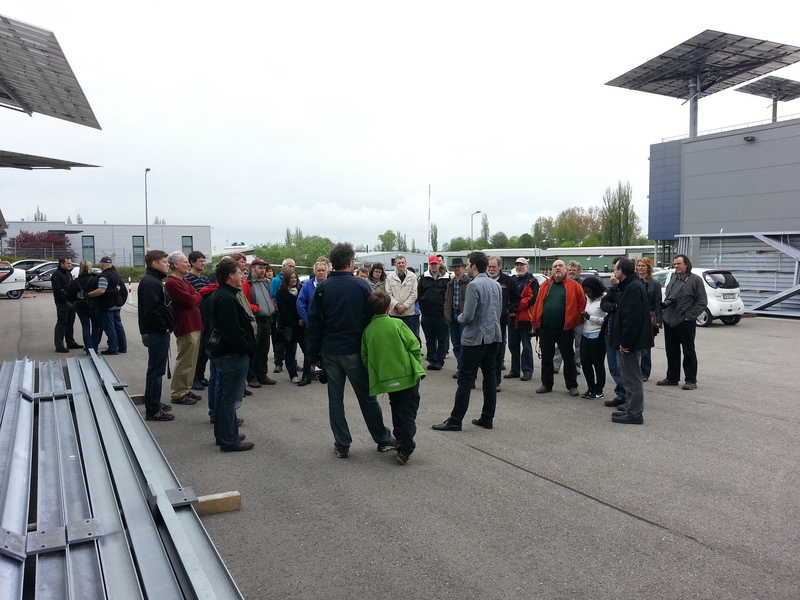 after about 100 minutes we were done and could proceed to our next tour, this time of the solar zentrum. 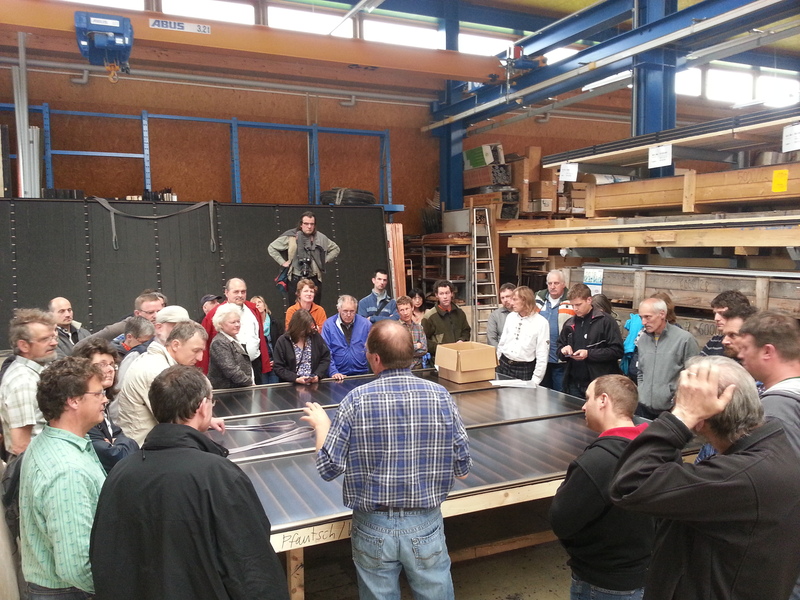 hartmann energietechnik produces custom-built solar thermal panels. not only may they measure up to 6x8m(1), they may also be non-rectangular. not only do they produce the panels, they built the company’s production site plus his own flat and an information pavillon along the lines of maximum efficiency and being solar powered. 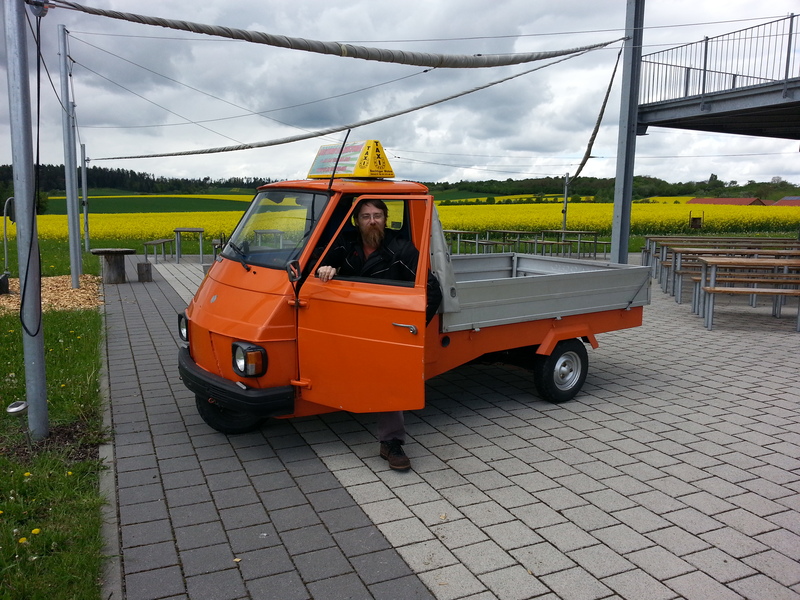 we stay on for quite a while, since the solarzentrum’s visitor pavillon makes very passable food and meeting other drivers and being able to chat extensively is something we don’t get around to do very much. next day, well… no good forecast for today. not much further south jc and i get back to where we started just 2 days before. TW231 waiting for him, fully charged, to take him back home. 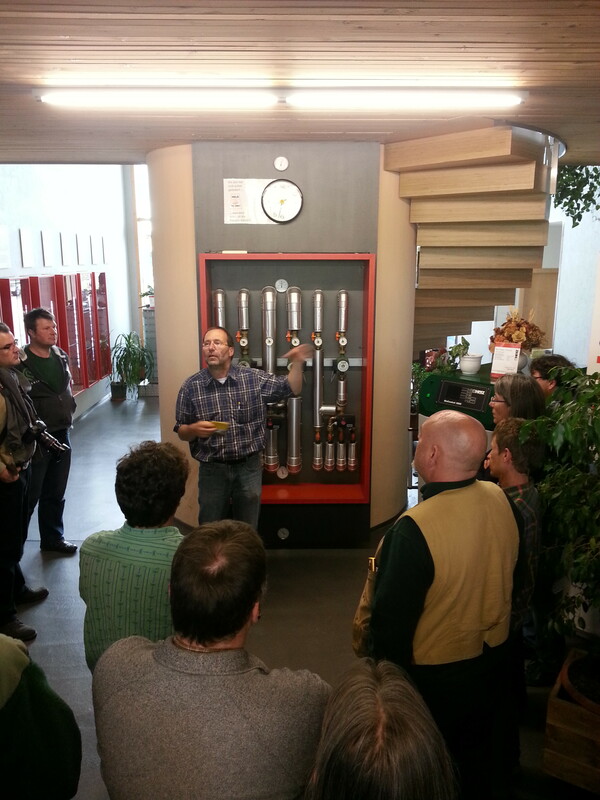 a very nice trip – we learnt a lot and saw many interesting places we will be exploring sometime soon!